Welcoming Violet into the world…. Justine Smith (@JustineGrey on Twitter) writes for the Create Hype Newsletter. Since the inception of Interwoven Creations by Crystal and the opening our Etsy shop, we have subscribed to this free newsletter. The information contained in the newsletter has been valuable for us and this latest venture. The purpose of the email publication is to provide helpful tips and suggestions for promoting your handmade work to the press. Justine gave birth to her second daughter, Violet, on February 7th and shared this wonderful news in the February 10, 2011 edition of the Create Hype Newsletter. 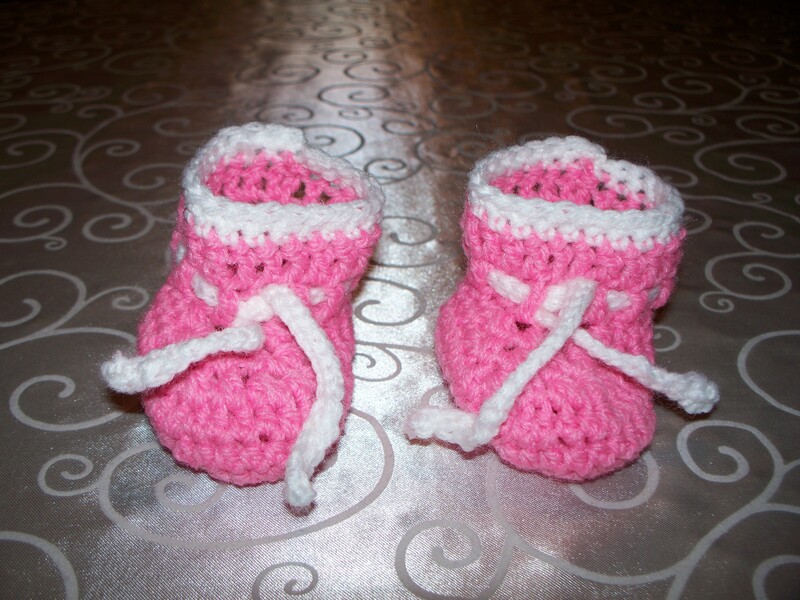 We sent a “welcome to the world, Violet and thank you for a fantastic newsletter, Justine” gift of a pair of pink baby booties. I pray that Violet enjoys her gift. Let us know what you think. Previous Post Happy Anniversary to Lighthouse Birth Services of NJ! Next Post Biting off more than I could chew…….